In our opinion the use of a pressure washer to clean soffit and fascia could force water through the vents and under the tiles and into your roof space. With this in mind, when it comes to fascia, soffit and gutter cleaning Homecare Clean and Seal avoid the use of a pressure washer and rely on specialist gutter cleaning products. These powerful cleaners breakdown the ingrained dirt, grime and black or green algae prior to cleaning. The use of cleaning materials is also far more effective and avoids the dirty residue spraying in all directions onto walls, neighbours properties and surrounding areas. 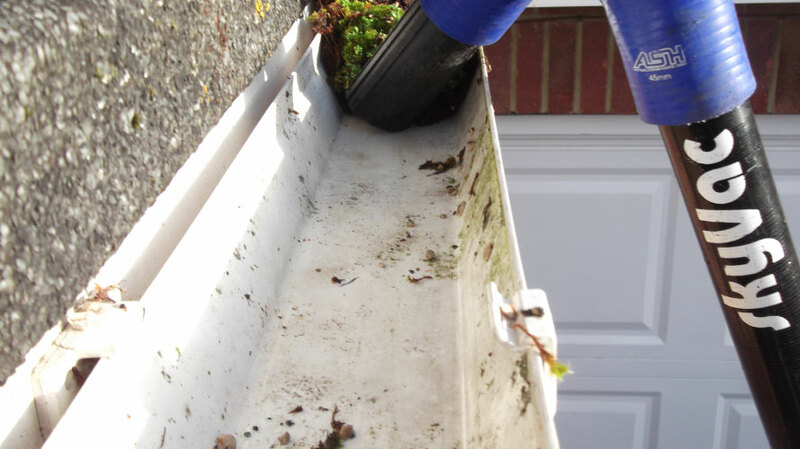 Homecare Clean and Seal use the lastest gutter cleaning systems for cleaning out gutters in Rushden, Bedford, Northampton, Wellingborough & Kettering. Our gutter cleaning systems harness the latest technology in industrial vacuums and high reach carbon poles. This allows the majority of work carried out from ground level, thus avoiding heavy ladders leaning against the gutters and support brackets. Importantly from a customer’s perspective, utilising our carbon poles with attached video camera we can show the extent of moss, muck and leaves trapped in the gutter. This free ‘visual survey’ is carried out before and work is carried out and price agreed. The quality of our equipment and expertise allows us to work quickly and efficiently. This translates for our clients into competitive prices and workmanship of the highest standards. 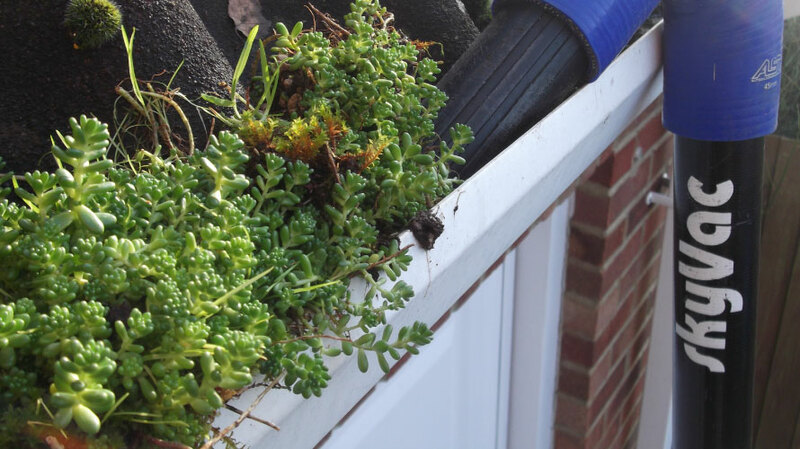 Please call 07831 840720 or 01604 231199 or complete our online enquiry form if you would like a FREE Gutter cleaning quote in Rushden, Bedford, Northampton, Wellingborough & Kettering.